When Roni Pieper died in 2007, Kristian honored his memory by sailing "Artemis XIV" in the Worlds of San Remo and took the silver medal. SUI-220 was wearing the number NOR-057 for this event and after, as Kristian bought the boat back to Norway. 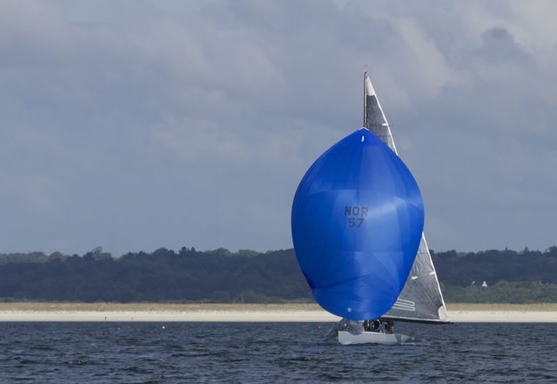 Original NOR-057 was the sail number of Kalle Nergaard, father of Kristian, reason why SUI-220 has been named NOR-057c. But which boat was Artemis XIII? New keel by Sandrine Lescaudron. Vice-World champion 2006 in Medemblick with Jochen Schuemann.